Sometimes it’s good to spent more money on a product than you’d normally would do. This is one those products. Benefit is an expensive make-up brand. So when I’m looking for something I won’t go to the benefit section. But when I was at the airport shop in Barcelona I had time enough to look at every brand I want to. And I stumbled upon Benefit. 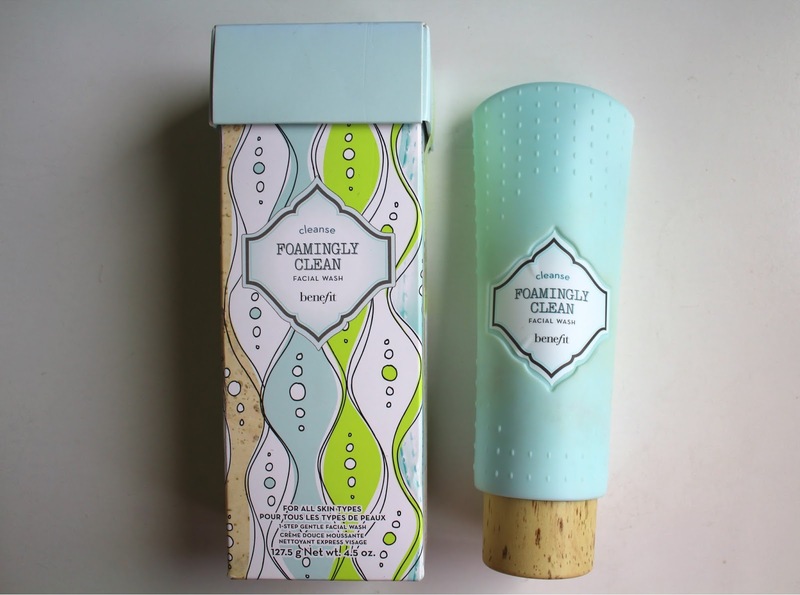 There I found this facial wash: Foamingly Clean Facial Wash. It was around €30,- so that’s a lot of money. 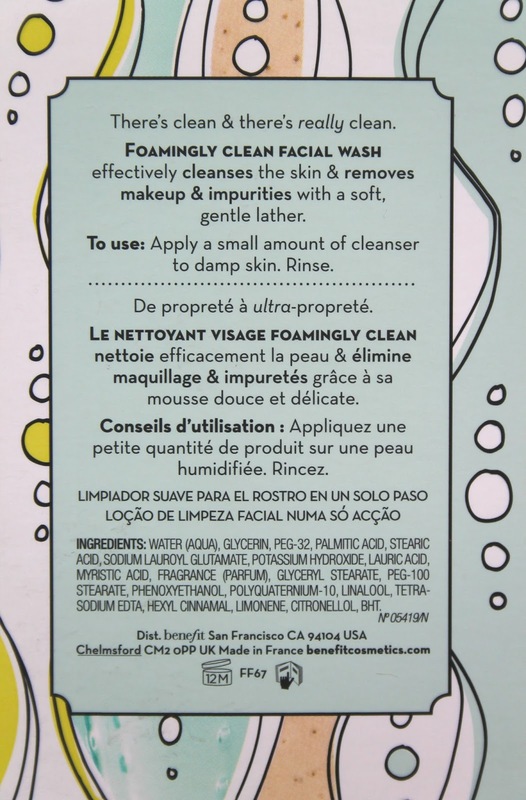 Normally I bought a cleanser around €4,-. But I wasn’t happy with that one so I thought, let’s do something crazy and buy this one. And I’m so happy that I did something like that because this facial wash is so good. 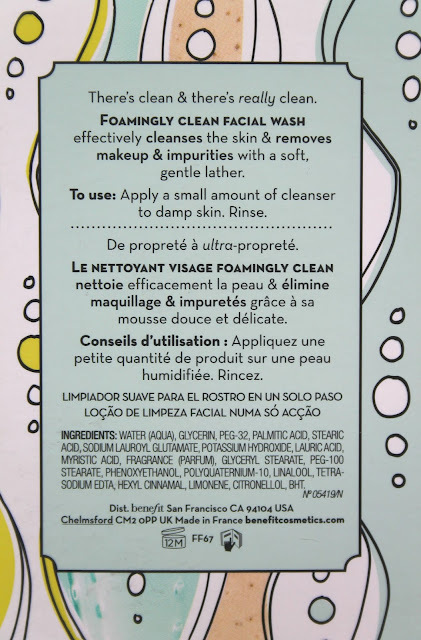 I always searched for facial cleaners that would remove all the oil of my face, thinking that that would stop my overly oiled face. But now I’ve realised that it’s not. Everything I had was always so aggressive that my skin was always bright red after I had cleaned my face. And I always used make-up pads to remove my make-up because I was too lazy to wash my face with water. Now I’m using this facial wash and I have to use water, my face isn’t bright red and my face feels cleaner than ever. Because when I have cleaned my face it looks healthier, not so damaged. I can’t really tell if the oil on my face got less because I just have a fight for the rest of my life with oil/skin/hair. Then I rinse it off with lukewarm water and dip my face dry with a clean towel. And then, to help my skin I apply a hydrating face crème. Because, even though my skin is oily I have dry spots on my face. My skin is very complicated... But this cleanser really makes me happy. My face looks better and I even think that I’ve seen a difference with my spots. There are less blackheads on my chin and cheeks and my pore obsession is also less because I feel like that this is cleaning my pores good but gentle. And that means: no more clogged pores which means less big pores and blackheads. As you can see I’m praising this product into heaven but I’m so happy with this foamingly clean facial wash that I’m just so excited to tell you about. For me it just works so well. The price makes me cry, but my face looks and feels better. And that is my life mission. Making my skin look better because what it was/is still makes me a little bit uncomfortable. PS: Sadly this is only step one to get a better skin. There is (of course) a whole product range with step 1, 2 and 3 to get ‘a visibly radiant, hydrated complexion’ for that you also need the triple performing facial emulsion spf 15 ++ and ‘it’s potent! Eye cream. But we all know how expensive life can be, especially the student life. So I just gave you the information and you can do with it whatever you want. Buy it or not. I don’t think I’m going but it.